Embattled CEO of Zylofon Media and Menzgold Nana Appiah Mensah popularly known as NAM 1 spoken for the first time since November, 2018. He has made his first post after reportedly winning a court case in Dubai. With his slogan “Ghana Shall Prosper” Nana Appiah took to his Instagram page few minutes ago and posted a picture of himself with the caption: “Jesus Christ is the same yesterday, today and forever #JehovahKnows #JehovahSees #PRAISETHELORD.”. His last post on Instagram before today’s post was on November 28, 2018. Meanwhile, Head of Communications at Zylofon Media, Samuel Atuobi Baah, popularly known as Sammy Flex, has confirmed the reports of NAM1’s release in an interview with Peacefmonline.com a short while ago. “Yes, i have confirmed reports that Nana Appiah has won the court case in Dubai….it certainly is good news….i cannot exactly say when he will be back in Ghana…he has a few things to put in order…hopefully next week, we might get to know when he is due to arrive…,” he stated. Nana Appiah after battling with court cases whiles in cells in Dubai has been granted freedom as a free man and he’s set to hit Ghana soon. The embattled NAM 1 has been in Dubai cell since November 2018 over a gold deal gone bad. 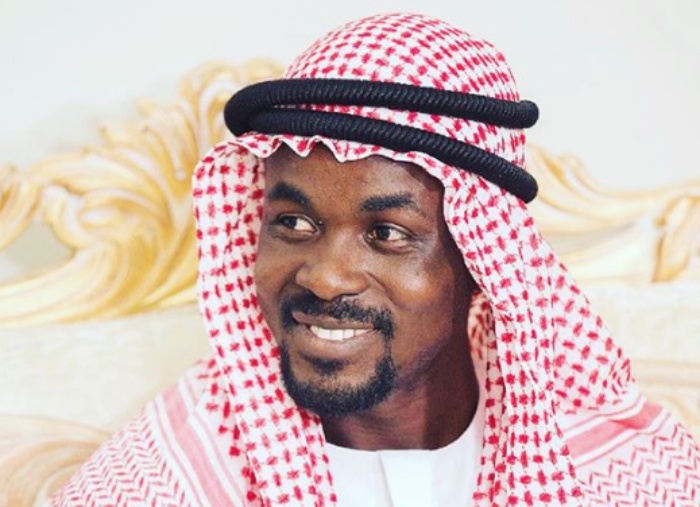 Nana Appiah has been in the custody of the Dubai authorities since November 2018 over a gold deal that went bad. He was charged with fraud. NAM 1 was being held for a misdemeanour charge over a US$23-million deal gone bad. On the 4th of March, 2019, he was granted bail but due to the red alert notice on him, he was rearrested on the instructions of INTERPOL in Dubai. The Director-General of the Criminal Investigations Department (CID) of the Ghana Police Service, COP Maame Yaa Tiwaa Addo-Danquah, at a press briefing last week, revealed that Nana Appiah Mensah cannot be extradited to Ghana.